The Permanente Medical Group, Inc. Physician Recruitment Services cordially invites you and a guest to join us for our Annual Recruitment Dinner. 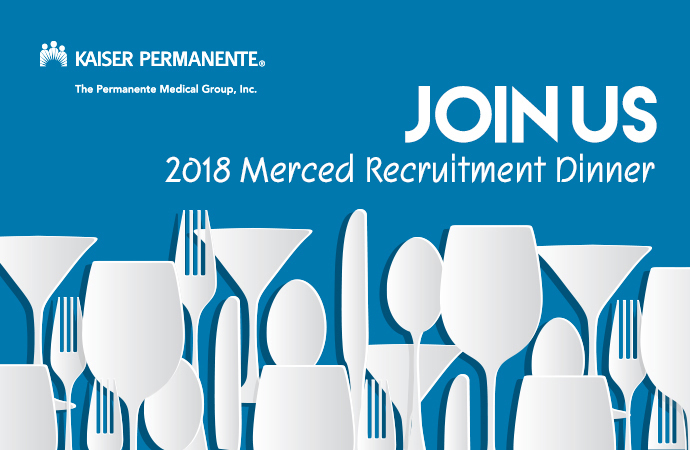 For additional information regarding other Bay Area and Central Valley dinners, please call (800) 777-4912 or email MDRecruitment.tpmg@kp.org. Who is The Permanente Medical Group, Inc.?